There are a lot of great delivery companies out there, and no one is better than another. It depends on what you are looking for out of a career and what is most readily available to you locally. UPS and FedEx are undoubtedly the two biggest delivery companies in the United States that are not run by a government agency. The United States Post Office is a government run agency, and with this comes a whole different set of things that need to be considered. These three companies have a ton of potential and many different types of jobs available within them, and all three have plenty of room for growth as far as career advancement goes. The Post Office stands in a category of its own thanks to the fact that it’s a government run organization. If you wish to apply to work here, you will likely need to go through a much more rigorous process. You will be required to take an exam, and you may be subject to a thorough background check, depending on what regulations currently state. However, this is a strong organization and has great benefits. If there are openings near you, it might be something that you will want to consider. 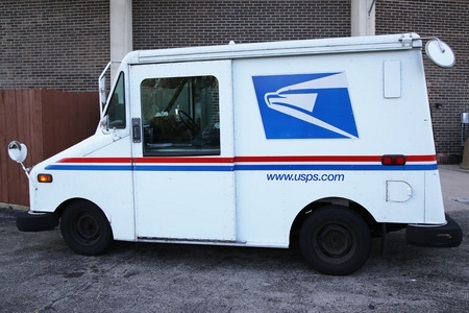 Not to be confused with the Postal Service, UPS offers a wide range of job opportunities, great advancement opportunities, and a competitive package of benefits. This is an international corporation, and many people spend their entire working lives here thanks to the fact that it is such a highly respected company. Odds are there is a branch operating nearby where you live, and they are likely hiring. FedEx is another internationally known company. There are tens of thousands of employees within this company, and there are likely many job opportunities close to you. Like many other big corporations, FedEx has a lot of room for growth within your career of choice, strong benefits for fulltime employees, and competitive pay for employees. There are also dozens of smaller companies and local companies that are hiring. If you are looking for a career as a delivery driver or something related, but don’t want to work for a large company, this could be the perfect fit for you. Delivery drivers have a lot of independence throughout the day, and the feel of a smaller company might be something that you thrive well under. This is something that is worth considering, and depending on where you live, you might have several companies to choose from. So, there’s not one “best” company out there as all of them are strong in their respective ways. Choosing the right company for you and your needs though is often a bit easier. For example, one company might not be hiring a part-time employee and another is looking for precisely this. If you are looking for something part-time only, then your choice is a lot easier to make. There are several small differences between all companies, and one company might appeal to you far more than another. There might not be one “right” company out there that is best for everyone, but there might very well be a company that is perfect for you. Spend some time researching the opportunities and the companies that are located close to you so that you can know which one is best for your specific situation. This will save you a lot of time in the application and interview process and it will make your career that much better when you get hired and start out at this new job.